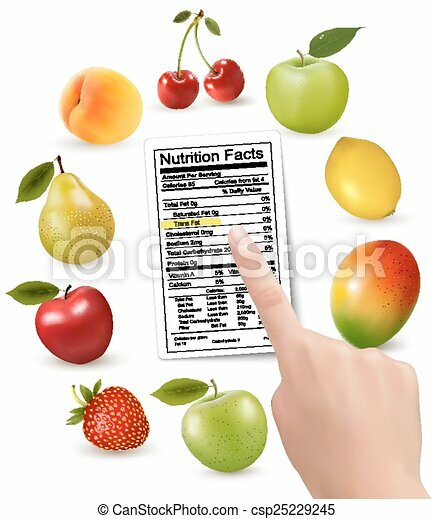 Fresh fruit with a nutrition facts label and hand. vector. Creative label with glass of fresh fruit beverage. Natural and tasty drink from ripe pear. Vegan nutrition. Graphic design for juice packaging, farm or organic shop poster. Hand drawn vector emblem. Colorful label with halves of sweet pomegranate and green leaves in glass. Natural and fresh drink. Delicious fruit beverage. 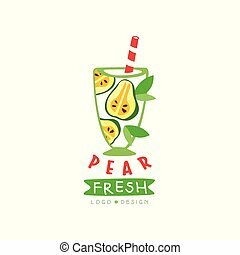 Hand drawn vector design for juice packaging logo, promo poster or banner. Abstract juice label with slices of juicy orange. Fresh summer beverage. Natural fruit drink. Graphic design for product packaging, print or promo banner. Hand drawn vector emblem isolated on white. 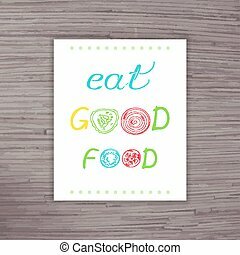 vector hand drawn poster with label - eat good food with letters from a slice of vegetables. 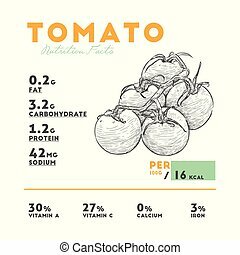 Nutrition facts of raw tomato. Hand draw sketch vector. 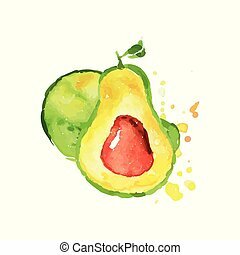 Ripe whole and half of avocado with bone. 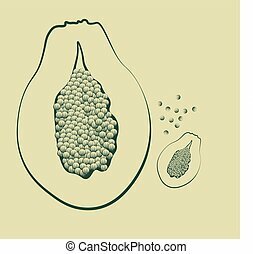 Tropical hand drawn fruit. Colorful watercolor painting. Natural product. Vegetarian nutrition. Isolated vector illustration. Design for label or emblem. 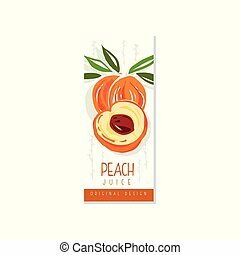 Original fruit promo banner with sweet peach. Hand drawn label for juice, jam or yogurt packaging. Natural vegan nutrition. Summer beverage. Colorful vector illustration isolated on white background. 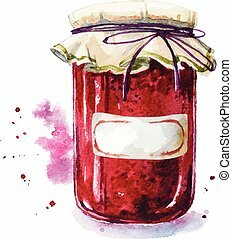 Fruit jam with a sticker. Mason jar. Watercolor. Hand painted. 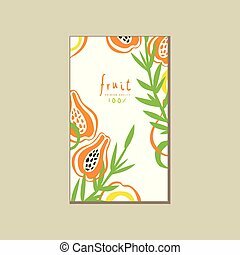 Creative bright card with fresh halves of papaya pawpaw . Fresh tropical fruit. Healthy vegetarian nutrition. Abstract design for product poster or banner. Colorful hand drawn vector illustration. Juice fruit label with half of green apple and leaves. Organic and healthy product. Vegan nutrition. Hand drawn design for juice or yogurt packaging. Colorful vector illustration isolated on white. 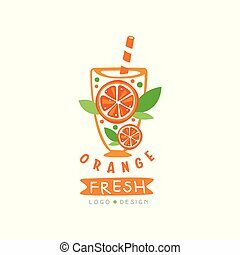 Colorful logo template with glass of fresh fruit drink. Beverage from sweet strawberry and kiwi. Organic smoothie. Graphic design for cafe, promo poster or product label. Hand drawn vector emblem. 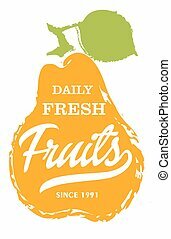 Daily fresh fruits label with pear silhouette hand drawn isolated vector illustration. Natural farming symbol. Daily fresh eco product hand sketch badge, icon. Local fruit farm, organic garden logo. 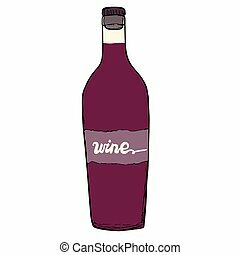 Bottle of red wine. Home made wine with a hand made inscription. Vector object. 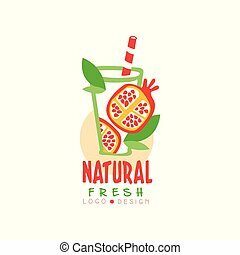 Creative logo design for natural drink from fresh watermelon. Glass of delicious fruit beverage with drinking straw. Organic smoothie. 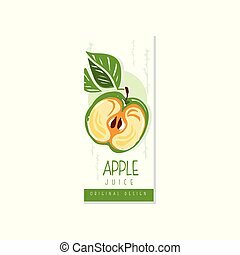 Hand drawn vector label for juice packaging, promo poster, print.